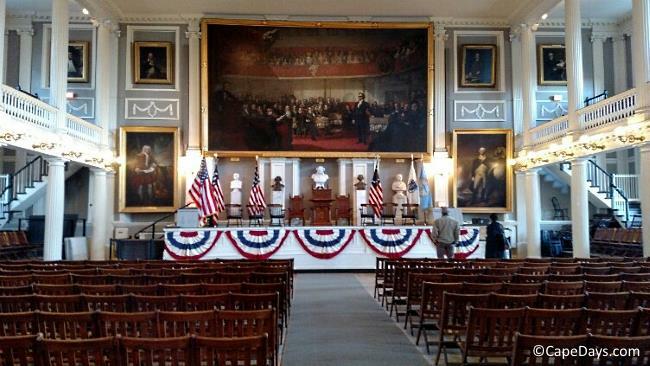 July 4th Vacation in Falmouth - Activities and Beaches? Question: I am looking for activities in Falmouth MA, without breaking any budgets! I'm renting a condo in Falmouth the week of July 4th. Bringing with me, my 20 year old daughter, and my 13 year old son, and possibly a buddy-friend for my son. Also may host my 23 year old son and his girlfriend for a few days. Any suggestions? Also, what are the best beaches in Falmouth? We live on the North Shore of Boston, so we're familiar with Cape Cod. We just haven't been to Falmouth in about 20 years. We usually go in the opposite direction, towards Yarmouth, Dennis, Provincetown. Any suggestions? It sounds like you'll have a full house at your condo in Falmouth! As far as things to see and do in Falmouth that won't break your budget, don't worry. Falmouth is chock-full of free and low-cost activities and attractions to suit all age ranges and interests. Fireworks - Perfect timing on your visit! Falmouth is famous for its 4th of July fireworks display. Big boomers shot out over the water, lots of oohs and aahs. It's an absolute "don't miss"! Shining Sea Bikeway - The 10+ mile-long bike path runs from North Falmouth all the way to Woods Hole. The path is paved and well marked, and pretty much easy to pedal along its whole length. It's also an incredibly scenic ride, past woodlands, seashore, marshes, and farmlands, with plenty of places to stop and explore (and rest) along the way. Cape Cod Baseball League Games - Are you familiar with the Cape League? These are the best of the best college players from all over the country. It's a great All-American family outing. The Falmouth Commodores play their home games at Guv Fuller Field on Main Street. 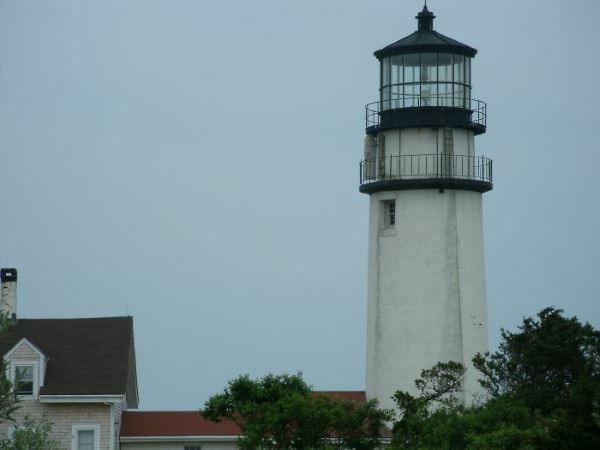 Nobska Light - The lighthouse will be open for touring one day while you're here. July 5th at 9:30 and 11 a.m. Tours are free, and the view is incredible! 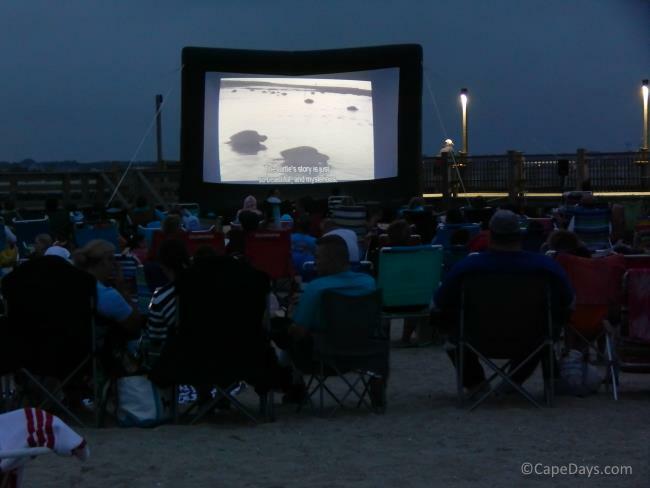 Movies Under the Stars - Every Wednesday night in July and August, they show family friendly movies outdoors on the lawn at Peg Noonan Park. The show begins at dusk. Folks bring blankets and picnic baskets and make an evening of it. Farmers Market - Thursdays at Peg Noonan Park from noon to 6 p.m. It's fun to poke around the market and pick up fresh veggies, fruits, flowers and homemade treats. Admission is free. This just scratches the surface of budget-friendly things to see and do in Falmouth. If you'd like more ideas, please let me know what your family's interests are, and I'll get back to you with more suggestions. Falmouth has a super-long coastline, and everyone has a favorite Falmouth beach. So it's tough to say which ones are "best". Two of my favorites are Old Silver Beach and Menauhant Beach. Old Silver is on Buzzards Bay in North Falmouth. It's a very pretty, long, wide beach with warm water, calm surf, and all the amenities - lifeguards, snack bar, restroom and rinse-off facilities. The only "down side" to Old Silver is that it's extremely popular, so you have to get there early (like 9-9:30 a.m.) to get a parking spot - especially during 4th of July week. Otherwise, it's better to wait until later in the day when everyone else is starting to head out. Menauhant is on Vineyard Sound in East Falmouth. This is a very long and somewhat narrow beach with small sand dunes and views of Martha's Vineyard in the distance. It's lifeguarded in season, and an ice cream truck comes by every now and then during the day. Menauhant is a popular beach, too. But the crowd factor isn't usually as big an issue at Menauhant as it can be at Old Silver. As I said above, everyone has a favorite beach. And it seems we all have a different definition of what makes a beach "the best". My suggestion would be that, once you get here and get settled into your condo, go exploring. Visit some of the different beaches around town, and see which beach suits you best. If you go on your exploratory mission after hours (after 4:30 p.m. or so), you'll avoid the crowds and parking fees. Hope this helps. Feel free to get back to me any time if you'd like any more info!